What a gorgeous day we had here on Hatteras Island. We had clear, sunny skies and a temperature of 63F. The winds were out of the west this morning, switching to the north-north-east tonight. It was a great day of fishing, whether you were on the beach or offshore, it was great! 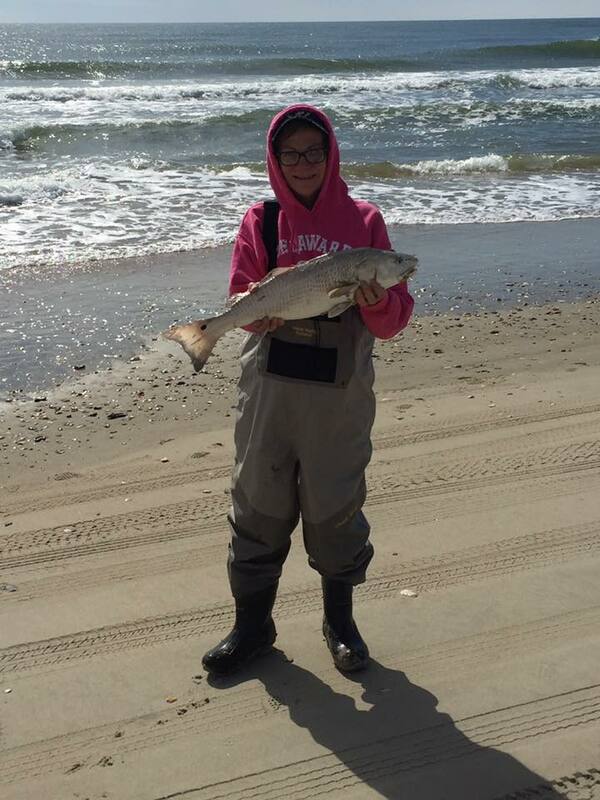 There were quite a few puppy drum caught along with some puffers, bluefish and black drum on the Southern beach. 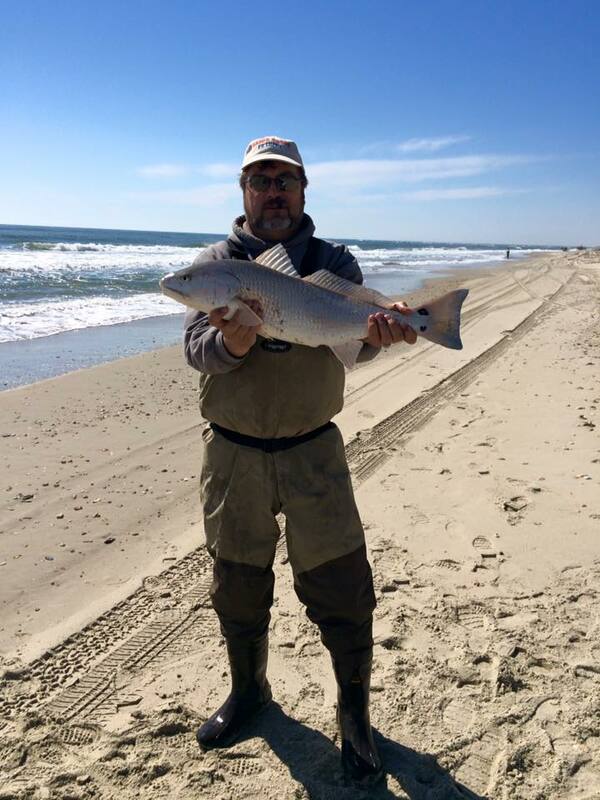 Darr Barshis caught a nice 4lb 1 1/2oz black drum, which he entered in the Angler’s Club Member’s Tournament. There was a nice puppy drum bite down in Hatteras as well today. We do have pictures of Susan McClanahan and Percy Houchens with a couple of nice puppy drum caught today on the Frisco Beach. The offshore fishing was just as good as the beach fishing today. The blackfin tuna jigging was spot on! Boats returned to the docks with nice catches of blackfin tunas and a bluefin tuna. There were also a couple of nice size sharks released. 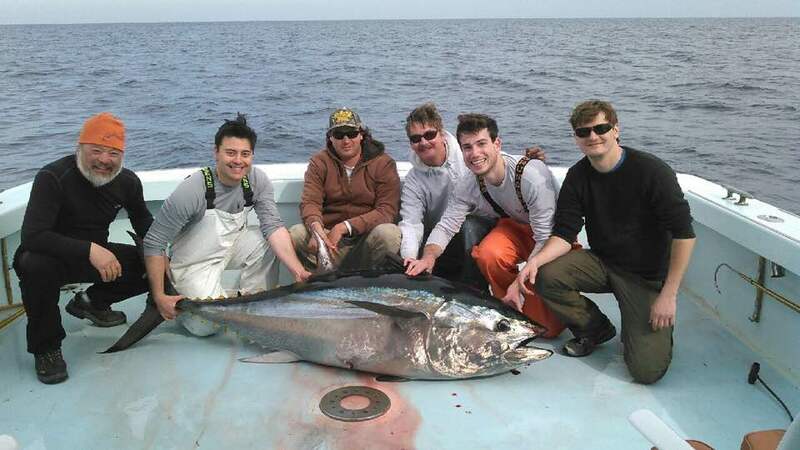 Pictured below is the Tuna Duck and their charter with a pretty bluefin tuna caught today. This entry was posted in Cape Hatteras Weather, Featured Products, Frisco Market, Local News, Uncategorized, What's Biting and tagged 2016-2017 NC Hunting Season, 2017 tide charts, black drum, blackfin tuna, bluefin tuna, bluefish, browning, CALCUTTA, puffers, puppy drum, rocky boots, Salt Life, Southern Fried Cotton, Sperry, tervis, woolrich, xtratuf white shrimp boots, yeti by frgstaff. Bookmark the permalink.